Deputy Prime Minister and Liberal Democrat Leader, Nick Clegg will be in Cambridge today (Thursday, December 12) to lay the foundations for the City Deal and a massive £6 million cash injection next year for the new Science Park station. 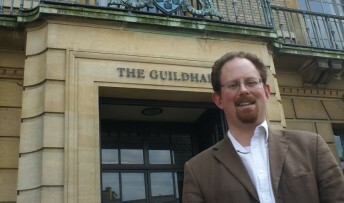 The news has been welcomed by Cambridge MP Julian Huppert and Cambridge City Council Leader, Tim Bick who have been working to secure the deal for the city and Greater Cambridge area. It will also bring more than £1 billion of investment through a gain sharing deal, whereby Greater Cambridge will get to keep some of the taxes it generates from new development. And it will bring millions of pounds in additional funding for investment in transport infrastructure and homes. During his visit today Nick Clegg will lay the foundations for the City Deal by committing to share Treasury revenues back to the Cambridge area for locally-led investment in the future. He will sign a Memorandum of Understanding with the leaders of Cambridge City Council, South Cambridgeshire District Council, Cambridgeshire County Council, Cambridge University and business leaders showing a joint commitment to completing the deal. Julian said: “We are very close to getting this deal signed off and I’m pleased to have secured this much-needed investment for Cambridge and the new Science Park station. “We have worked extremely hard to get this station to unlock the northern part of our city, ease congestion on our roads and improve transport links for new and existing businesses. This investment means that project can now move forward.